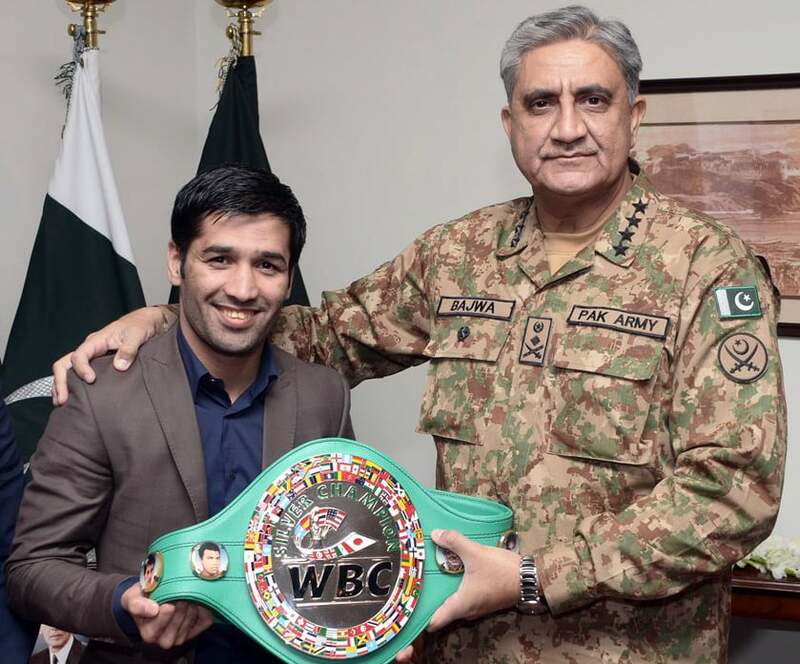 World Boxing Council (WBC) Silver Flyweight Champion Muhammad Waseem called on Chief of Army Staff (COAS) General Qamar Javed Bajwa at General Headquarters on Friday. The army chief praised Boxer Muhammad Waseem for his outstanding achievements and expressed his confidence that Pakistani youth will follow his footsteps to bring good name to the country. Waseem had successfully defended his WBC silver flyweight title after defeating Giemel Megramo of the Philippines in November. Known as ‘Falcon Khan’, Waseem, whose ranking is expected to improve, is intended to challenge other recognised fighters. Following his successful bout, PM Nawaz Sharif had approved a Rs30 million grant for the boxer.